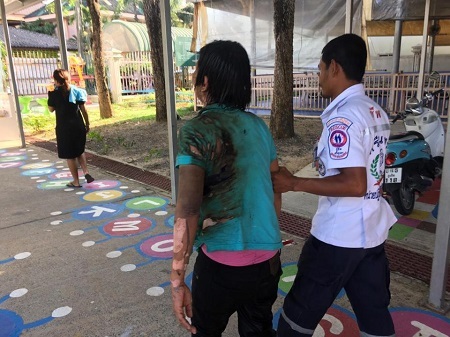 Rungruedee Sithibut is lucky to be alive after 30% of her skin was torched in the horrific incident, which happened in Thepkrasattri, in Thaland District, Phuket Province, Thailand, yesterday. 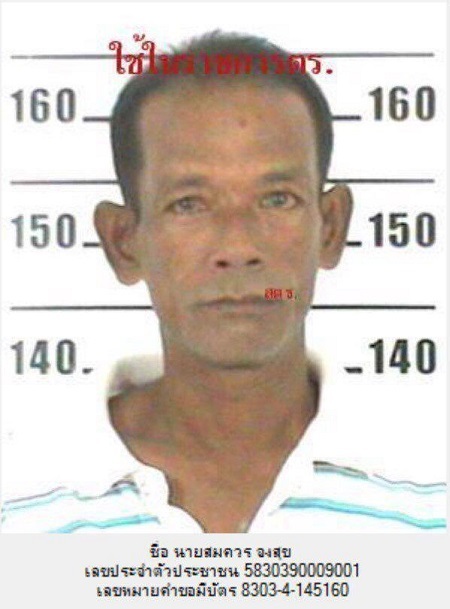 Police say they believe the woman was brutally beaten by her 50-year-old ex Somkuan Jongsuk before the arson attack. Police added there was a history of domestic abuse between the pair and have been called out to them before – but this was the worst attack. 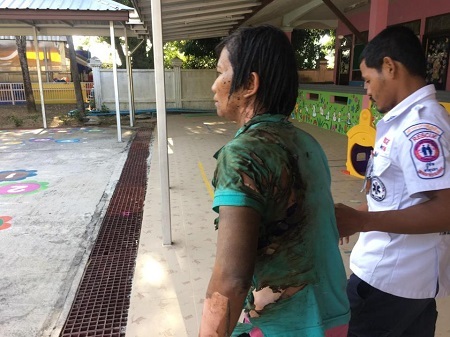 It is believed the ex-husband regularly keeps tabs on his ex-wife and cannot stand the fact they split up, regularly working himself up in a rage believing her to be with other men. 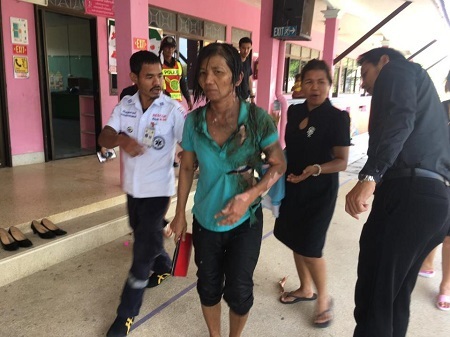 “They have had serious arguments before, and some of those arguments have even ended up at the police station,” Capt Kraisorn Boonprasop added: “Her ex-husband is still jealous even though they broke up a year ago, but she still helps him from time to time.“Not long ago Somkuan was arrested for physical abuse while being drunk, and she bailed him out.